This weekend saw the arrival of some genuinely good snow falls to the Innsbruck valley. 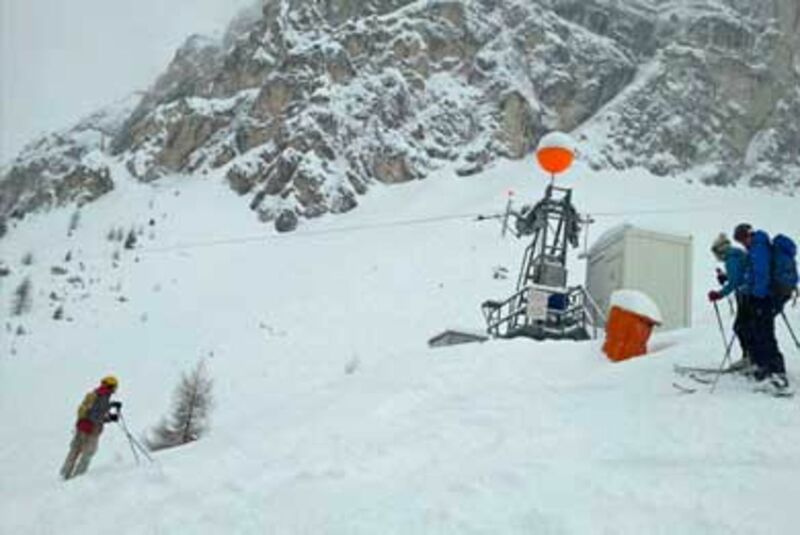 Whilst East Tirol is sinking under metres of snow these snow systems that are coming from the south and east have been largely spent by then time they have arrived in the central Alps. Not so this weekend and there were plenty of powder planks on show in Axamer Lizum today, high above Innsbruck. It certainly wasn’t tanning weather with snow persisting throughout the day but lower in the valley there were some good breaks in the cloud and conditions were really good. Tomorrow is set to be a very, very good day with sun and light clouds whilst the snow returns on Tuesday with the entire Alpine region of Austria set to be snowy. Sun is forecast to follow and then the snow is forecast to return by the end of the week. Snow followed by sun – just about the ideal combination.